Sinhalese New Year used to be celebrated in epic proportions. In the villages, it was very much a children’s festival and the rural community would get ready for the annual event months in advance, with astrologers visiting the village to pronounce the auspicious times for the New Year rituals. There were also natural signals that heralded the arrival of the New Year. The blood red buds of the Erabadu flower and the sweet warbling of the Koha (Indian cuckoo) proclaimed that New Year was just around the corner. Hence, the Sinhalese New Year Festival is a unique eco pageant! Before Buddhism was introduced onto the island, the indigenous peoples honoured the passing of the old year and the introduction of the new. On the Old Year’s Day (Parana Avurudda), the dominant sentiment of sadness pervaded the community and people refrained from lighting their hearths. Fasting was mandatory and the symbolic equivalent of the ‘wailing and weeping of the ancients’ at the Death of the God of Nature ensued. This period of sorrowing is known to Sri Lankans as Nonagathe (The neutral hour). This was the time when the God of Nature was between death and life (neutral). 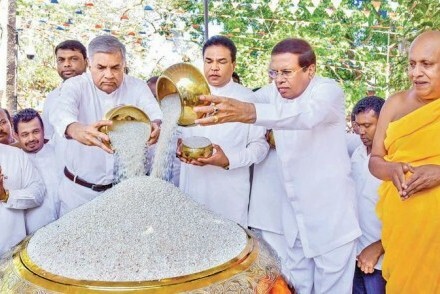 The Sinhalese Buddhists now perform religious rituals at this time, too. This is similar to the earnest prayers offered by their indigenous forebears, to bring about the reincarnation of their Dead God. As an outcome of the merits transferred by the people during Nonagathe – lo and behold, the Dead God of Nature is reborn. On New Year’s Day (Aluth Avurudda), people rejoice and begin a fresh cycle of life, along with the newly risen God. This is a precis of an article featured in the Sunday Observer on 07 April 2019. What does Sri Lanka look like? The coastline itself is made up of coconut palm fringed sandy beaches, coral reefs and lagoons surrounded by mangroves, which are particularly impressive where thousands of birds stop off to look for food during their annual migration. The south and southwest coasts are densely populated with a string of fishing communities and seaside resorts. In the southwest, one bathing beach gives way to another in a quarter-circle around the island's edge, from Chilaw on the central west coast to Tangalle in the southern part of the south coast. Incredibly, the sea temperature remains at 27°C all year round. The southwestern section of Sri Lanka gets the most rain, partly because rainfall is higher during the southwest monsoon. The more hilly jungle region of the southwest is today the home of coconut, rubber and cinnamon plantations, while every available piece of flat ground in the lowlands is taken up by rice paddies, where two harvests take place every year. The east coast is developing as a tourist destination mainly around the Trincomalee, Passikudah and Arugam Bay areas. Though the east coast is subject to the influence of the northeast monsoon from November to February, conditions are often suitable for ocean swimming by the beginning of the year. The air is less humid, and though the coastal beaches are lined with palms, the vegetation is not as dense or lush as it is on the hot, humid west coast. Population density is lower in the east and the region is less modern. Three-quarters of Sri Lanka is described as a 'dry zone', which includes most of the north, east and southeast, adjacent to the Hill Country and wet zone. However, this area is far from desert-like and the term simply indicates that rainfall in this area is not constant and that there are fairly long rain-free periods. This in turn influences the vegetation which ranges from dense, extremely varied forest areas (jungle, monsoon forest), in which some trees lose their leaves during dry periods, to areas with sparse, low thorn scrub in the especially dry regions (savannah scrub, acacia trees). From the air, the dry zone appears to be studded with a vast number of lakes of varying shapes and sizes. However, almost all of these are man-made reservoirs, or tanks, some of them thousands of years old; their prime function is to irrigate the ubiquitous rice paddies. Sri Lanka's driest regions are on the southeast and northwest coasts (Yala and Wilpattu National Parks, respectively), the island of Mannar, and the Jaffna Peninsula. In the wet region, the low-lying land of the southwest, not a patch of land lies uncultivated. Being so well watered means that in this region of lush vegetation, both food and commercial crops can be grown successfully alongside each other. The smallest hollows are carpeted with paddy fields; the sandy areas are planted with coconut palms, and the hilly land with rubber and cacao trees and pepper plants. In addition to supporting intensive farming, this south western quarter is densely populated, the entire region scattered with village communities. The Hill Country in the Central Highlands forms the backbone of the island. Forming a bastion of moderately high, rounded and forested peaks, the mountains of the Hill Country benefit from high rainfall levels and cool temperatures. Land clearance campaigns implemented over the centuries have changed the landscape irrevocably, with previously forested areas on mountain slopes being given over to paddy fields and other crops for food production. The British introduced coffee and then tea plantations, transforming whole sections of the wild heart of the island into fields as straight as a die. More recently and a matter of some concern has been the deforestation of swathes of virgin forest, which has both eroded mountain slopes and upset the microclimate. Forest cover in the Hill Country has fallen from 44% of the land area to only 24% between the early 1970s and 1990s. Unfortunately, firewood still accounts for over half of all energy needs on the island. Since the 1930s, when the first hydroelectric plant was opened, suitable areas of the Hill Country have been developed for the production of hydroelectric power. 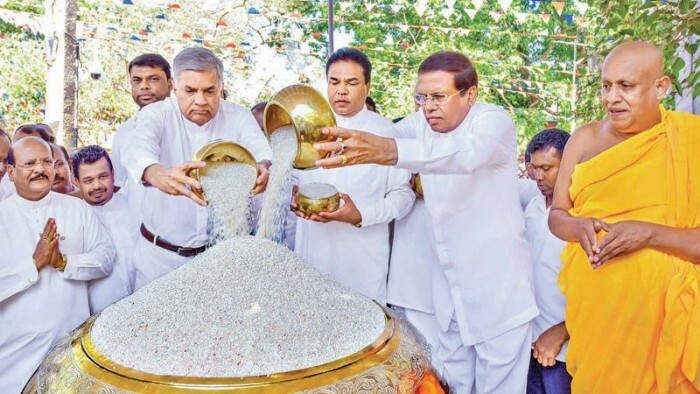 The massive Mahaweli Program, ostensibly a complex irrigation system being developed to bring water to the northern half of the island, also contributes to the national grid, which generates 65% of the island's electricity from hydroelectric power. World Health Day: Health for all – how far has Sri Lanka come?